COMFORT ZONE is proud to serve the Olean community! Please call us today at 716-557-2640 to consult with our home comfort specialist. About Olean, NY - Happy to be your hometown Heating & Air Conditioning Contractor! Olean, known as the “Enterprising City with the Hometown Touch” has an energetic spirit and outstanding resources. It serves as the financial, business, transportation and entertainment center of Cattaraugus County. Europeans first settled the area in 1765. It was sparsely populated until 1804, when Major Adam Hoops, a surveyor and Revolutionary War veteran, acquired the land and named it Olean. Since the Allegheny River was a major transportation route, Hoops believed that a great city could be developed at the confluence of the Allegany and the Olean Creek. Between 1830 and 1850 Olean was the major timber town in the region. During the Pennsylvania oil rush, Olean became the railroad and oil pipeline hub for the area and its claim to fame until 1954. Olean’s highest-ranking politician was oil executive Frank W. Higgins, who was Governor of New York from 1905 to 1907. 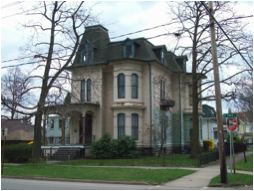 To experience more of the city’s history, visitors may enjoy the Fannie E. Bartlett Historical Center. Frank and Fannie Bartlett purchased the house, originally built in 1881, in 1891. Behind the house is the Olean Point Museum. The Conklin Mountain House, a Second Empire style home built in 1886, was listed on the National Register of Historic Places in 1998. Olean has an abundance of recreational activities. The Allegheny River Valley Trail can be used for hiking, running, biking, and cross-country skiing. Rock City Park, Sprague’s Maple Farms, and the Pfeiffer Nature Center all offer breath-taking scenery and outdoor activities. For indoor activities check out the Regina A. Quick Center for the Arts and the Olean Community Theatre. The Olean City School District was incorporated in 1877. Today it provides public education from Pre-K through 12th grade. There are four elementary schools, one middle school and one high school. Located in climate zone 6, Olean receives about 38” of rain and 63” of snow annually. Temperatures range from a July average high of 79 degrees to an average January low of 11 degrees.